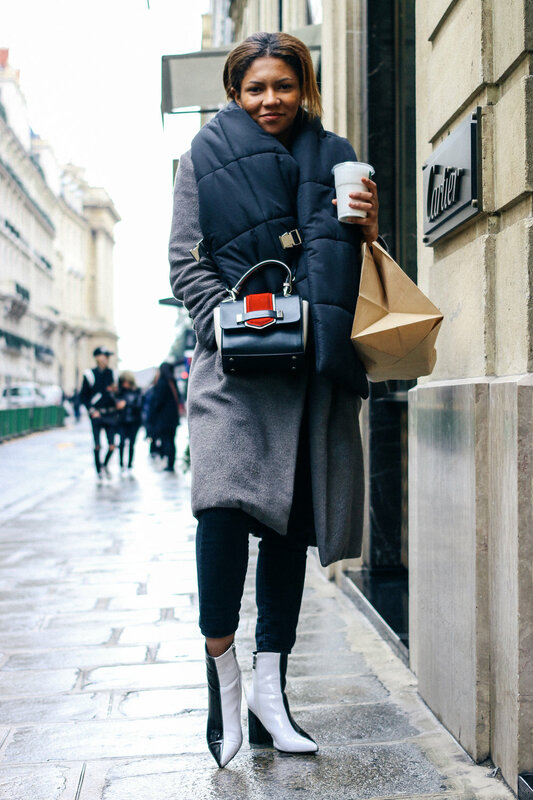 "I have a date tonight, I am wearing stand out pieces like a coat, bag and pair of shoes. I wanted to look chic." "A hat instead of an umbrella to make life easier"
"This is the first outfit I've grabbed"